Christina, whose very name fills the Church with the fragrance of the Spouse, comes as a graceful harbinger to the feast of the elder son of thunder. The ancient Vulsinium, seated by its lake with basalt shores and calm clear waters, was the scene of a triumph over Estruscan paganism, when this child of ten years despised the idols of the nations, in the very place where, according to the edicts of Constantine, the false priests of Umbria and Tuscany held a solemn annual reunion. The discovery of Christina’s tomb in our days has confirmed this particular of the age of the martyr as given in her Acts, which were denied authenticity by the science of recent times: one more lesson given to an infatuated criticism which mistrusts everything but itself. As we look from the shore where the heroic child was laid to rest after her combat, and see the isle where Amalasonte, the noble daughter of Theodoric the Great, perished so tragically, the nothingness of mere earthly grandeur speaks more powerfully to the soul than the most eloquent discourse. 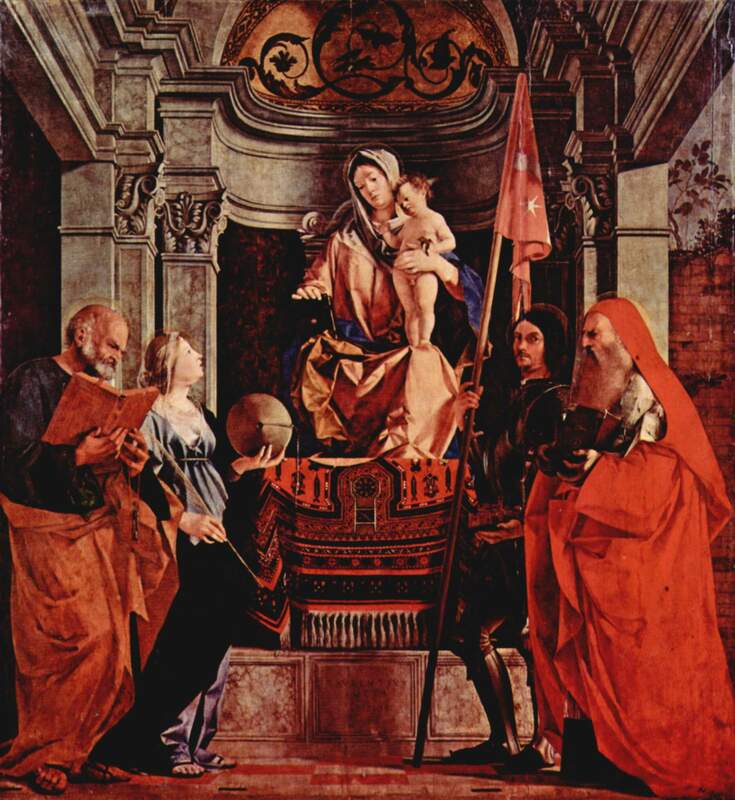 In the thirteenth century, the Spouse, continuing to exalt the little martyr above the most illustrious queens, associated her in the triumph of his Sacrament of love: it was Christina’s Church he chose as the theater of the famous miracle of Bolsena, which anticipated by but a few months the institution of the feast of Corpus Christi. Let us unite our prayers and praises with those of holy Church, to honor the glorious Virgin Martyr. Ant. Veni, Sponsa Christi, accipe coronam quam tibi Dominus præparavit in æternum. Ant. Come, O Bride of Christ, receive the crown which the Lord hath prepared for thee unto all eternity. ℟. Intende, prospere procede, et regna. ℟. Set forth, proceed prosperously, and reign. Indulgentiam nobis, quæsumus Domine, beata Christina Virgo et Martyr imploret: quæ tibi grata semper exstitit, et merito castitatis et tuæ professione virtutis. Per Dominum. We beseech thee, O Lord, that the blessed Virgin and Martyr Christina may implore for us forgiveness; who was ever pleasing to thee by the merit of chastity, and the confession of thy power. Through our Lord, etc.